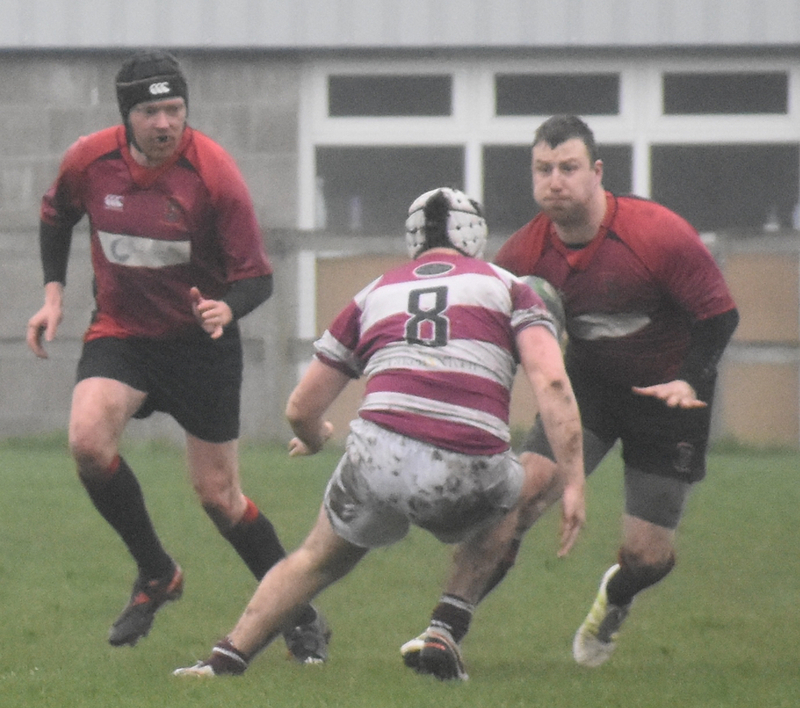 It was a dreich damp day at Mains Park for this rearranged fixture against the Edinburgh side. The Manager saw a few changes to his side with Jeff Martin, Mayo Herdman and Cammy Walker all promoted to the Reds 1s and Gus McNab out again with his injured shoulder. It was still a combatative side that started the game playing down the slope and with the wind. Russell Murdoch, at centre, captained the side and lead by example with some excellent defence and telling down field kicks. From a kick down the pitch Aaron Flucker chased and Watsonians gave a way a penalty which Chris Ronalson converted, to give the 2s an early 30 lead. Watsonians were relying on their large front row to gain ground and were putting our front row under a lot of pressure. 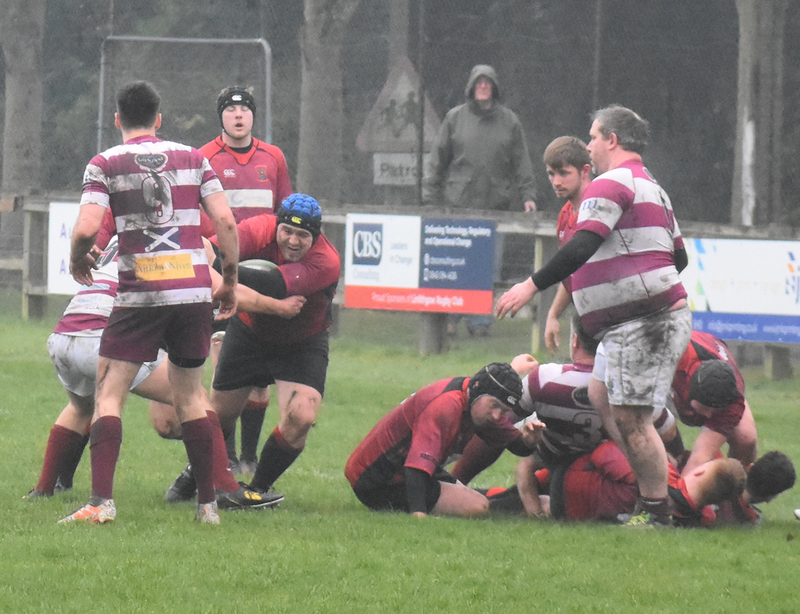 Duncan McClymont at number 8 was rescuing the ball at the base of the retreating scrum, giving scrum half Robbie Thomson a fighting chance to clear the lines which he did time and time again. From a piece of good loose play, Adam Scott crashed over for the Reds down the blind side to bring the score 8-0 to the Reds. The Team was now playing some good rugby and from another attack down the blind with good carries by Ally Walker, who worked tirelessly all afternoon, the ball was secured. Robbie Thomson at scrum half passed the ball which went across all the backs to Rory McAdam who went outside his man and scored in the corner. Conversion missed but the score was 13-0 to the Reds. Rory McAdam is just a blur as he slides in for his try! Half time and the Manager asked for more of the same but Watsonians had other ideas. They now had the slope and the breeze and a dominant pack. So they started to kick the ball intelligently down the park and challenged our men to clear their lines either by running the ball out or kicking long back to them. Pressure was put on the Reds by this tactic and although everyone was still trying hard mistakes started to creep in and Watsonians took advantage with the big centre running strongly in open play and making scores. In the second half Watsonians scored 5 tries to give them 31 points. 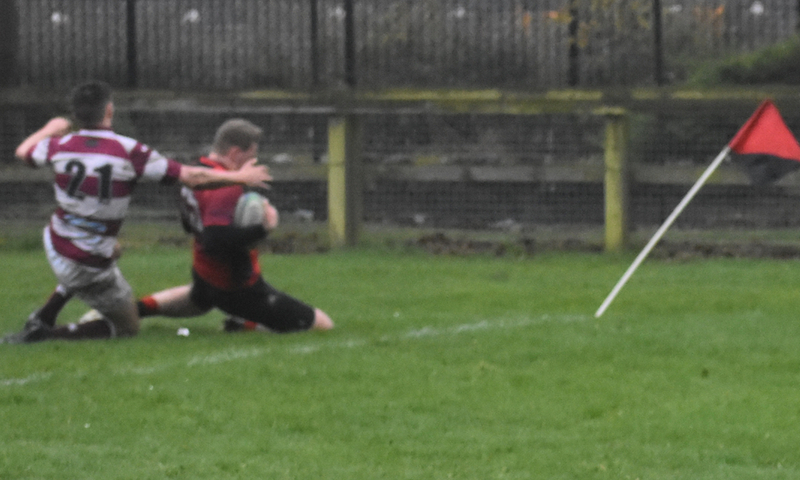 The Reds stuck to their task and scored a consolation try through Guy Sutherland after a period of battering the Watsonians’ line just before the final whistle to leave the final score 31-18 to the visitors. These are difficult games for the Reds as Watsonians, one of the new Pro Six teams, have approximately 40 players in this 3rd XV squad, many with premiership experience. Well done to our players. Forresters next week for the enthusiastic! !